It is hard to top lovely vacation living at Crescent Towers II 708, where the only thing better than the on-site and in-condo amenities is the gorgeous oceanfront view! 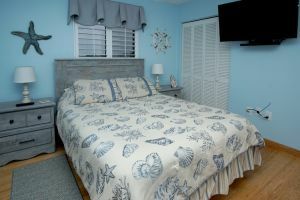 Crescent Beach is a pristine area of North Myrtle Beach, South Carolina and the deluxe accommodations you will find are equally beautiful. 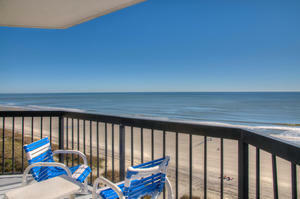 Crescent Towers II 708 features more than enough to make your North Myrtle Beach luxury vacation memorable. 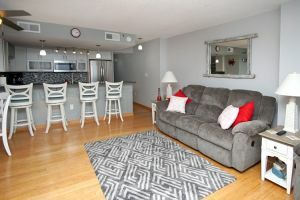 Gorgeous colors and charming decor spread throughout the spacious oceanfront condominium rental making your family feel special during their North Myrtle Beach vacation. 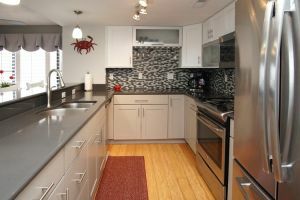 The full kitchen with a breakfast bar is as inviting as the comfortable living room. The dining area at this luxury North Myrtle Beach vacation rental has a superior view through a side window. 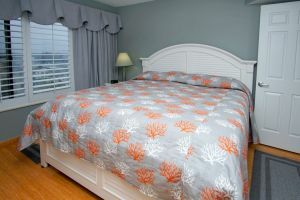 This North Myrtle Beach condo rental is an end condo so there are more windows incorporated into its design. For your convenience, there is a washer/dryer in this oceanfront condominium and for your leisure, there is a private Jacuzzi tub. Soak the evening away and let all your tensions and muscle aches leave your body as you indulge in a jet-filled Jacuzzi tub in the privacy of your North Myrtle Beach vacation rental. The wrap-around balcony at Crescent Towers II 708 is oceanfront so the panoramic view that you can enjoy from inside your oceanfront condominium is incredible. 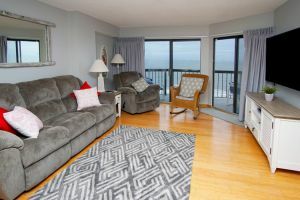 Sit quietly on the private balcony and watch the sunrise or dine al fresco because there is a table on the balcony at this North Myrtle Beach vacation rental. On site, Crescent Towers II offers guests a grill for beachfront cookouts. A refreshing dip in the swimming pool is always a terrific family activity and spending hours playing on the sandy beach that is right outside your door will be the highlight of this oceanfront destination. 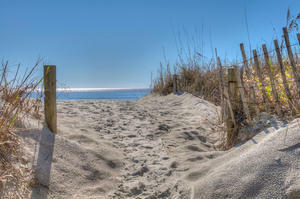 Your family and Crescent Towers II 708 are a match made in heaven because the fun and excitement of Myrtle Beach and North Myrtle Beach are only minutes away from this oceanfront resort. Shopping, dining, water parks and much more are at your fingertips at the Crescent Beach location of Crescent Towers II 708.